Last week saw the inaugural session of Ludlow Young Health, a wellbeing and mental health advice drop-in service. Nearly 50 young people and their parents or carers dropped in to the Ludlow Youth Centre in the first few hours of the service. Erica Garner is a town councillor and chair of Young Shropshire Into Work, which provides a confidential 1:1 mentoring service for 16 – 25-year olds. Tim Gill is Mayor of Ludlow and is supporting Ludlow Young Health with the mayor’s charity. Ludlow Young Health is run by Ludlow Youth Partnership, with the backing of local councils and charities. The drop-in advice sessions will run twice a month over the next year. Ludlow Town Council, Ludlow Mayor’s Charity, Ludlow Rotary, Shropshire Council and Connexus (South Shropshire Housing) have all put in money to get the scheme off the ground. 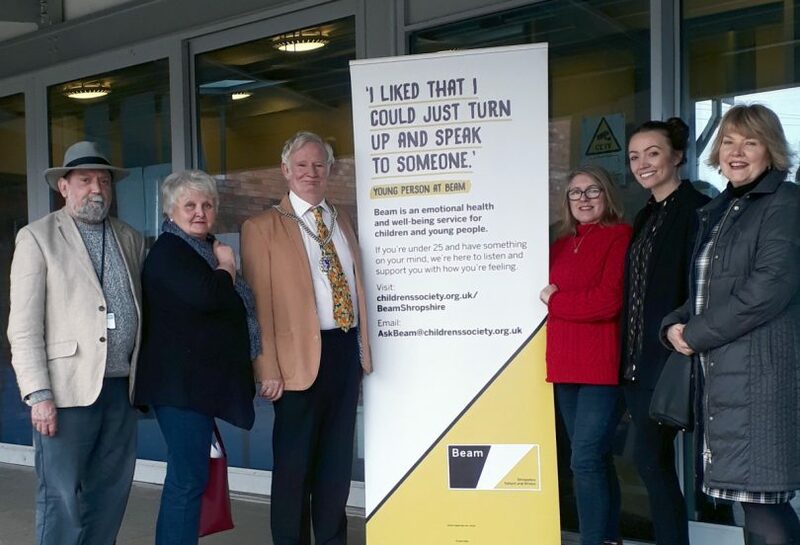 The drop-in service is delivered by the Children’s Society as part of its Beam initiative, using professional staff and trained local volunteers.